← Gotta love that little hand sander! 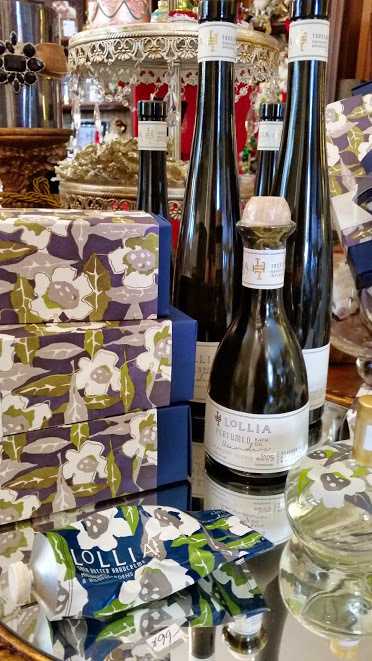 We have a nice collection of LoLLia products at The Whistling Elk. 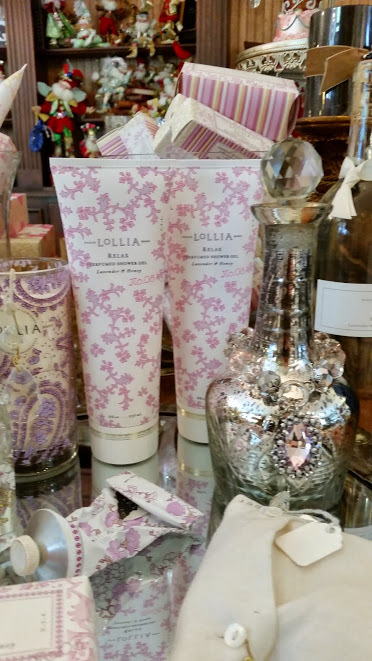 LoLLia is beautifully packaged so it adds an elegant touch to the décor of your dressing room or bathroom. My favorite is the Wander…its a soft fragrance and I just love rubbing a little of the hand crème on the back of my hand and sniffing it! So nice! I also love the Wander Perfumed Bath Oil…it is amazing. It leaves your skin soft and fragrant and no small matter it leaves your tub clean! That’s a wonderful bonus! Which fragrance is your favorite? This entry was posted in Home, Uncategorized and tagged bath oil, bubble bath, Chester NJ, Elegant, fragrance, hand creme, home, home decor, Lollia, perfume, The Whistling Elk. Bookmark the permalink.